Brentwood | Superior Mechanical Services, Inc.
Get the area’s best boiler service in Livermore, Pleasanton, Dublin, CA from the friendly and knowledgeable technicians at Superior Mechanical Services, Inc. Our approach is based on nearly 70 years of experience with different brands and a host of issues. If you need help with boiler installation, repair, tune ups, maintenance, or replacement, you’ll be in good hands with us. We take time to find out the latest in boiler care so that you always get well-informed service at your door and solutions where other contractors fall short. 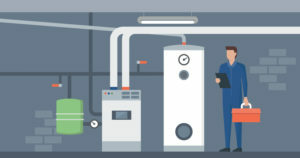 While there are other contractors offering boiler service in Livermore, Pleasanton, Dublin, CA, few can compete with our pricing combined with our extensive experience. Caring for your home is already expensive, so when it comes to your source of heat, don’t let just anyone claiming to offer boiler services into your home. 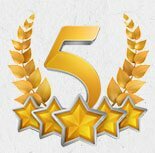 We’ve been a residential and commercial staple over the decades and our customer testimonials and reviews speak to the reliable service we bring our community. When it’s time for a professional’s help, you’ll appreciate our small-business approach to caring for your home. With expensive equipment and detailed work involved, replacing or installing a boiler isn’t a job for an inexperienced contractor, let alone a weekend warrior. We offer professional installation or replacement done 100% correctly by technicians trained exactly for boiler service in Livermore, Pleasanton, Dublin, CA. You know the importance of changing the oil to keep your car running smoothly, and the same principle applies to boiler maintenance. Boilers are hearty and well-made machinery that runs reliably with proper care. More than half of the repairs for boilers are easily avoided with annual maintenance service, making it well worth a once a year appointment. Experiencing an issue with your boiler? Let our experienced technicians help, we offer upfront pricing estimates and explain exactly the issue so you have a clear picture of the problem before deciding. At your diagnostic appointment, we’ll locate the problem causing your boiler to malfunction and give you our recommendations for repair service. Whatever your need, when it comes to boiler service in Livermore, Pleasanton, Dublin, CA, make sure to call Superior Mechanical Services, Inc. today at 925-456-3200 or 888-544-4111. Contact us today for boiler service in Livermore, Pleasanton, Dublin, CA!